Pre-dawn glow,at the Mobius arch - Alabama Hills, California. Far away, is Mt.Whitney. Pretty rewarding very short walk takes you here. This particular structure is no too big, may be 30 feet wide. 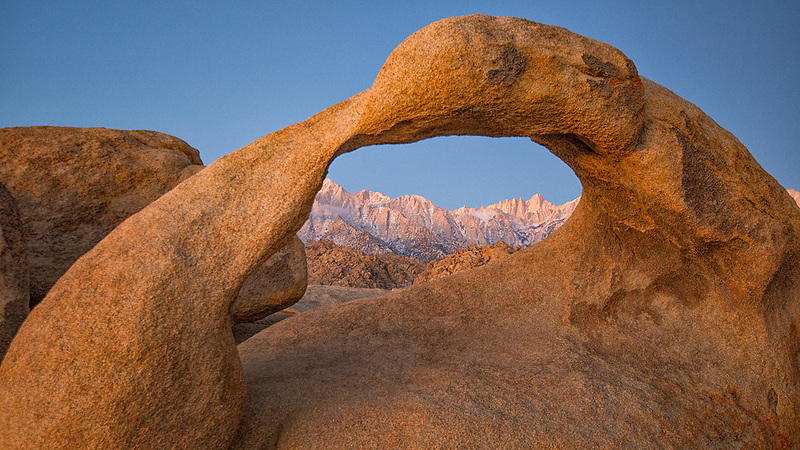 Mobius arch, Alabama Hills, California, Mt Whitney.